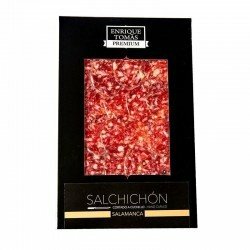 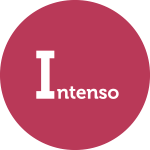 Elegant sachet with 80 grams, cut with a knife, of an exquisite Salchichón 100% Iberico Bellota, cured in Huelva. 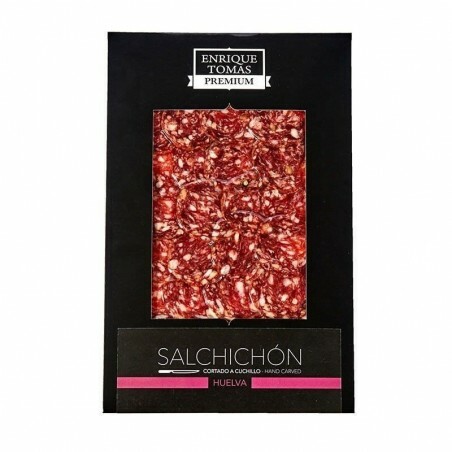 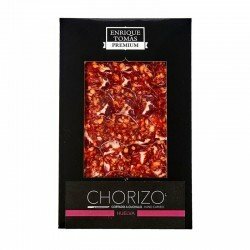 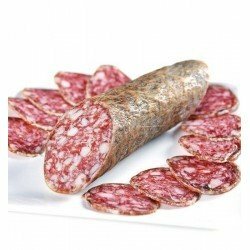 This Spanish sausage has been elaborated in an artisan way with lean pork meat and spices, among which the black peppercorns stand out, an ingredient that gives it its most characteristic aroma. 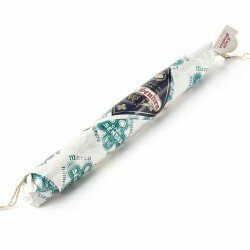 Besides, as it is an Iberian Jabugo product, it will give it an intense and slightly smoky flavour, unbeatable!